MINISTRY OF WORKS, TRANSPORT AND COMMUNICATION. 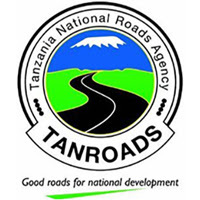 The Regional Manager’s Office TANROADS – KAGERA on behalf of Chief Executive Officer, TANROADS, seeks to recruit qualified and competent with high integrity Tanzanian Citizen to fill the following vacant posts on contracts terms (Renewable subject to satisfactory performance). 4. Must be a Tanzanian Citizen; 5. Between 35 and 40 years of age. 5. Age limit is not above 35 years.  Performing other duties as may be assigned from time to time by the Shift In-charge / Regional Manager. 6. At least 3 (Three) years work experience in the same field from reputable organization.  Performing other duties as may be assigned from time to time by the Head of Accounts and Administration / Regional Manager. All the interested and qualified Tanzanians are invited to submit their applications in writing enclosing detailed curriculum vitae and certified copies of relevant education and professional certificates, together with names of two reputable referees their contact addresses, telephone number (s) and e-mail addresses. The application should reach to the addressee mentioned below not later than 12th October, 2018 at 16:30 pm Hrs.